Info:The Holochrome Slammers were slammers that were available with Krome Kaps. 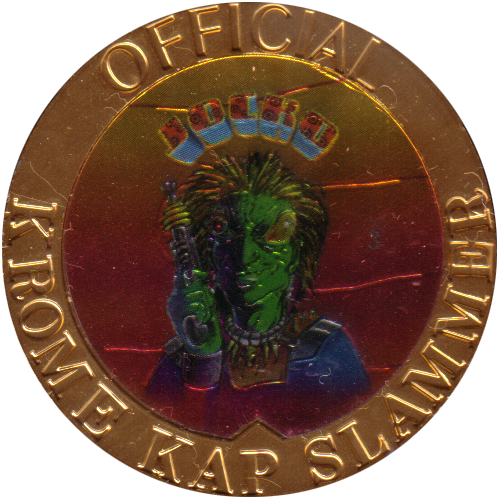 Packets of Krome Kaps did not come with the Slammers, but a winning card would be inserted in random packs. This card could then be sent off with a check or money order for $2.95 (to cover shipping and handling inside the continental U.S.), and the Holochrome Slammer would be sent by return. 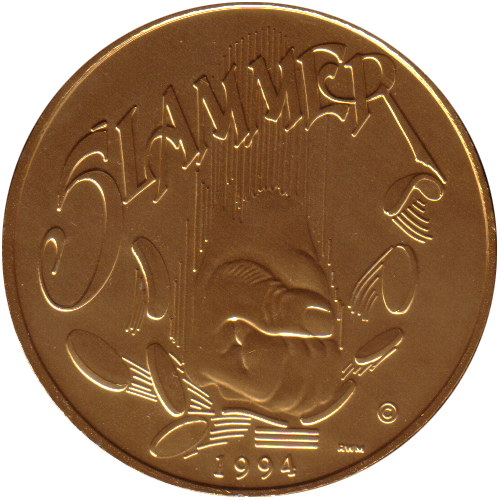 The card advised to allow 6-8 weeks for delivery of the Holochrome Slammer.